In 1939, the Mailae 10th Light Flotilla, an inherently small group of specialists and now equipped with a new underwater breathing apparatus, devised a low-cost plan to attack enemy ships as they lay unprotected and unsuspecting in their harbors using manned torpedoes. 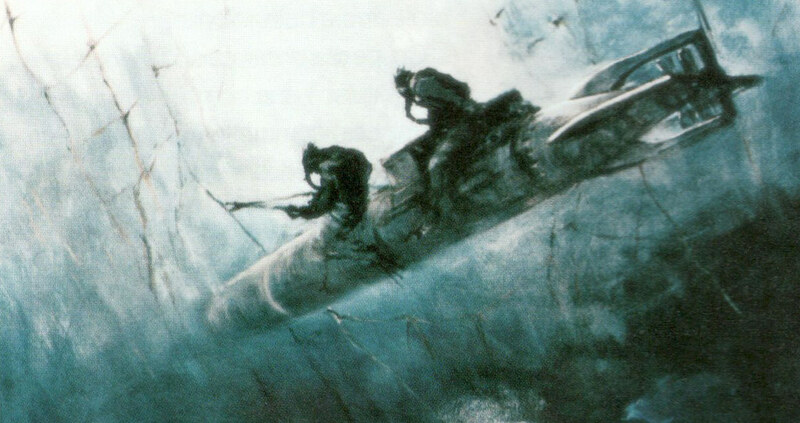 The “human torpedo” concept began as a way to counter Allied capital ships without risking Italian warships to direct combat. The torpedo design appeared just like any standard World War 2-era torpedo munitions but was specially modified to carry a pair of divers who, upon reaching a designated target, delivered an explosive warhead to sink a ship while at anchor. The rounded nose of the torpedo comprised of the warhead storage filled with pounds of TNT. Behind the warhead was a shielded control panel for the primary driver who straddled the torpedo as if sitting on a horse. 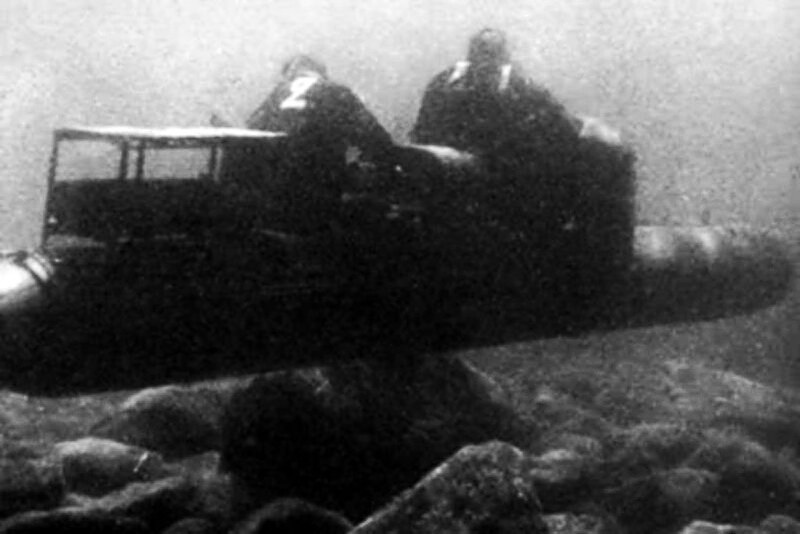 A backrest for the driver was nothing more than the ballast pump housing and behind that sat the assistant diver who held onto the housing while diving and during the actual run. Aft of the assistant driver’s position was a tool box. Both divers sat at the center section of the diving tank. The aft section of the torpedo held the engine as well as the propeller and diving/rudder planes. These “frogmen” would dive and approach a target ship, remove the warhead and proceed to hang the TNT charge under the ship’s keel. The charge could be set up to a delay of 2.5 hours allowing the divers to escape. The charge would then detonate and (hopefully) render the enemy vessel damaged and out of the fight for a time – or destroyed altogether. The torpedo proved difficult to handle in practice and many were lost during testing, sinking as if stones in the water. Her tendency to sink resulted in the vehicle being nicknamed “The Pig”. The warhead was attached to the bow of the torpedo and was either 1 x 300kg or 2 x 150kg charges which were connected by a clamp. The driver steered the craft with a joystick control system that was connected to the hydroplanes and rudder located at the stern just behind the propeller. 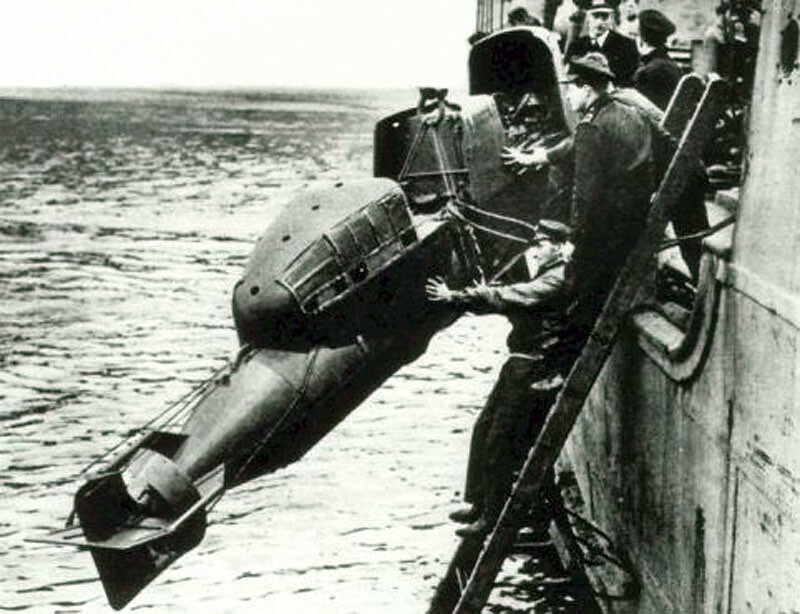 The original the delivery system consisted of utilizing pressurized containers fitted to existing Italian Navy submarines so the dive teams could enter the water undetected while the submarine remained submerged. The first two attacks using this method against the British fleet at Malta failed when British aircraft sank one submarine and strafed the other. In December of 1941, three human torpedo crews were launched from the Italian submarine Sirce against the British at Alexandria, attacking two battleships – the HMS Queen Elizabeth and the HMS Valiant as well as the tanker Sargona. All three ships were damaged and sunk in the resulting action. However, the harbor was shallow to the point that the ship’s superstructures were well above the waterline resulting in the spotting and capture of all three Italian torpedo crews. Regardless, the damage had been done for two weeks earlier, a German U-boat submarine sank the battleship HMS Barham – this essentially left no allied battleships in the Mediterranean Theater to counter the Axis fleets. The British were alarmed by the changing fortunes and hoped to fool the Axis powers by using tarps to hide damage on their ships while repairs were secretly underway. Crews also continued normal top deck activities as if their forces were ready to fight at a moment’s notice. Because only a few ships were operational in the area, the British Government knew the Mediterranean Theater would be lost to German and Italian warships if the ruse did not succeed. For the next three years, the 10th fought against British shipping at Gibraltar using an old Italian merchant ship, the Dlterra, that was moored across the bay of Gibraltar in a Spanish port only a mile away. The ship was converted to launch the human torpedoes through a hatch cut six feet under the waterline of the vessel. This allowed the frogmen and their craft to come and go relatively unnoticed. The ship’s original crew was replaced by men of the 10th and torpedoes were shipped in under the guise of them being nothing more than boiler tubes. On October 1942, three crews were launched from the Dlterra and resulted in three sunk Allied merchant ships. They found attacking merchant ships easier than dealing with British warships as warships were, naturally, far better protected than the merchant vessels. Italian frogmen damaged or sank 42,000 tons of Allied shipping in the Gibraltar area and the British Royal Navy would never find the secret base on the Italian ship Dlterra. In September of 1943 the Italians formally surrendered to the Allies amidst mounting losses, political pressures at home and through sheer military force imposed by the advancing Allied powers moving northwards across Italy. Some of the men of the Mailae remained loyal to ousted Italian Dictator Benito Mussolini while some went over to the serve the Allied cause with the British Royal Navy. 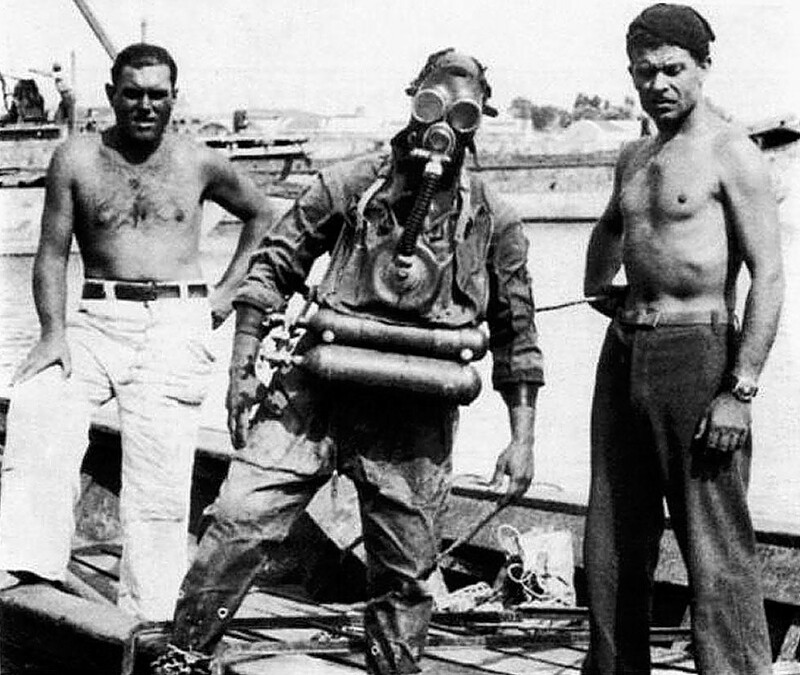 The British used the Italian frogmen to develop their own frogman underwater force. 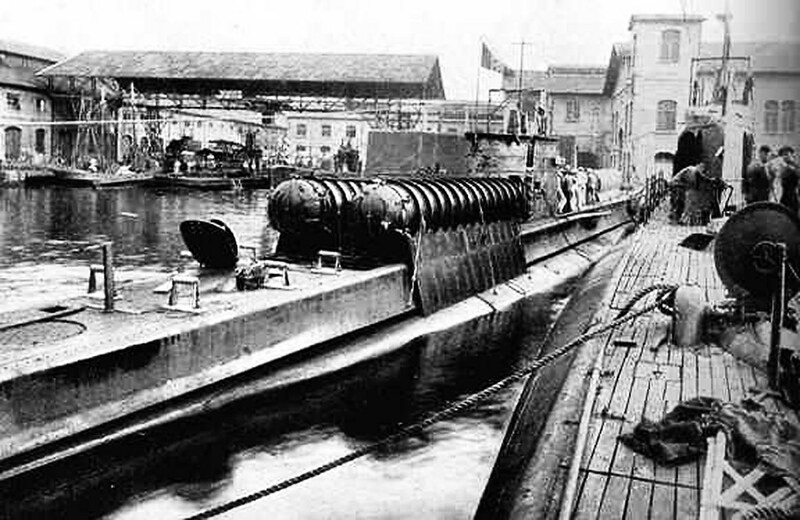 As such, the Italian “Pig” became a part of naval history and the war in Europe was over by mid-1945.